Ginny joined Benchmark Destinations in 2017 and has quickly become an integral part of the team. 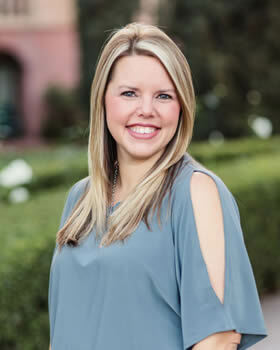 She works closely with our venue and vendor partners to ensure flawless execution of our programs. Her attention to detail and thorough follow-up are unsurpassed. She was born in Riverside, California, but moved quite a bit growing up, including living in Montana, Arizona, Illinois and Dallas where she received her BS in Interdisciplinary Studies from the University of Texas at Dallas. Ginny loves spending time with her family and taking trips to Austin to root on the Texas Longhorns.